ISLAMABAD: The International Monetary Fund (IMF) has asked Pakistan government to abolish statutory regulatory orders (SROs) issued for the provision of major tax exemptions, official sources said on Tuesday. As the performance of the Federal Board of Revenue (FBR) on revenue collection remained dismal, the IMF has advocated the withdrawal of exemptions to achieve an ambitious revenue collection target of Rs2,475 billion in the current financial year, the officials said, adding that as of June 30, the revenue body has missed the target by Rs439 billion. 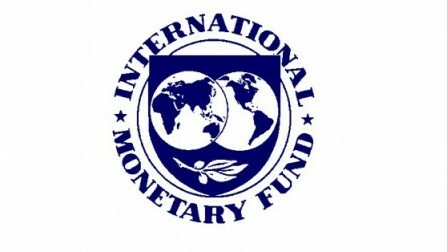 The IMF also considers that fiscal discipline cannot be achieved without binding provinces under a mechanism in the aftermath of the National Finance Commission (NFC) Award and the 18th constitutional amendment, they said. �The Council of Common Interest (CCI) may be authorised to place a mechanism to ensure revenue generation in surplus by the federating units and, if agreed, then resources from the federal divisible pool should be released,� the officials said. To secure a fresh loan package of $5.4 billion from the IMF, the cash-starved Pakistan will have to raise the electricity tariff in a phased manner, erasing power differential subsidies, enhance the discount rate by 1.5 to 2 percent and to purchase dollars through open market operations, they said. �The World Bank will finance FBR restructuring in case the IMF agrees to give a fresh bailout package,� the officials said. During the last financial year (2012-13) influential and business tycoons enjoyed tax exemptions worth Rs239 billion, including Rs4 billion under the head of capital gains tax, the officials said, adding that of the two types of tax exemptions, certain exemptions can be abolished by amending laws from the National Assembly and some exemptions can be withdrawn through SROs. �The FBR has been assigned the task to analyse all those tax exemptions, which can be abolished through SROs and, in case of agreement with the International Monetary Fund, the revenue body will bring certain exempted areas in the tax net. These exemptions will be abolished in the second quarter (October-December) period of the current fiscal year,� a senior official confirmed to The News. Meanwhile, the FBR�s tax collection stood at Rs1,942 billion during the year ended June 30 against four-time revised target of Rs2,007 billion. The FBR had envisaged initial tax target of Rs2,381 billion and the tax authorities fetched only Rs1,942 billion, indicating an overall shortfall of Rs439 billion in the last financial year. �The FBR�s collection increased by only Rs60 billion as it collected Rs1,942 billion as compared to the last year collection of Rs1,881 billion, indicating an increase of around three percent only,� the official said, adding that it was one of the lowest revenue growth ever achieved by the revenue body.